Happy Friday everyone. Prometheus Rising v011 makes use of the newest AVP code, has many bug fixes, new monsters such as the Aethon and much improved world generation. There is more food available in the beginning and some other user feedback integrated into this version as well as fixes to quest lines. 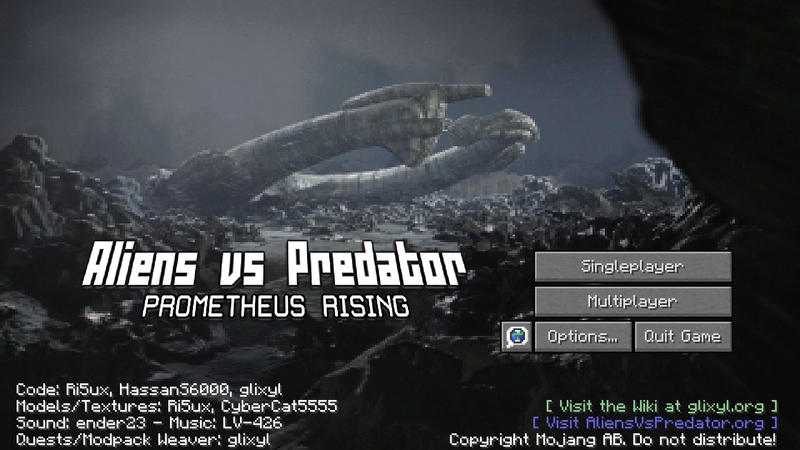 Ri5ux and CyberCat5555 have been working really hard on AVP mod and you can see a lot of this work in this remastered edition of Prometheus Rising. 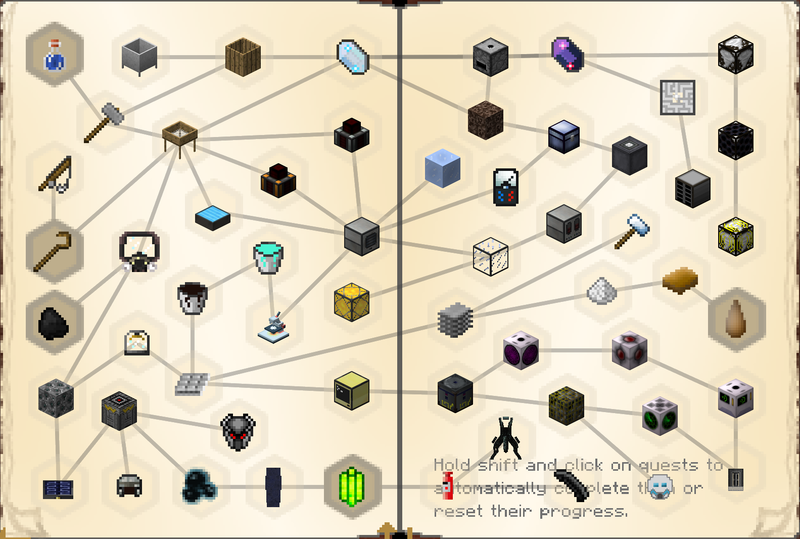 There is a downloadable server at the link above which will allow you to play with your friends. 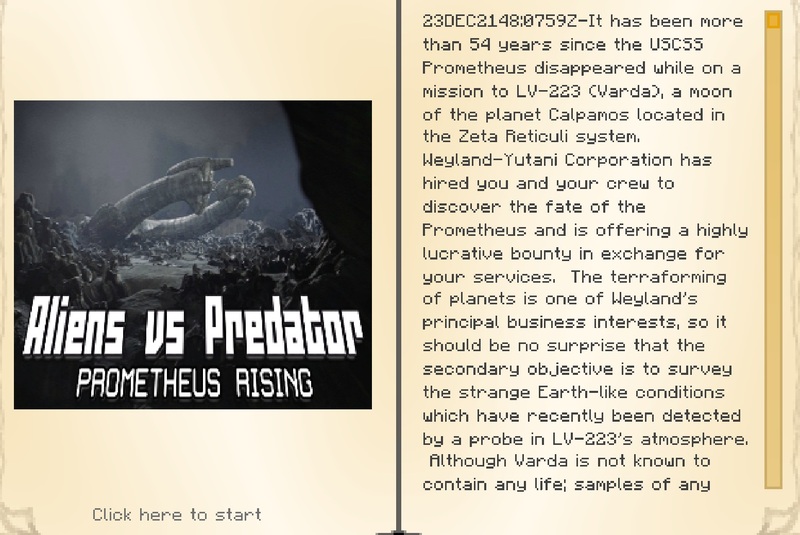 In this terrifying sci-fi horror adventure set in the Aliens vs Predator Universe, you play as a civilian scientist on a mission to discover the fate of the USCSS Prometheus and her crew. Upon waking from cryosleep, you and your crew find yourself scrambling for your life as your own spaceship is shot out of the sky. Survive on the moon LV-223 Varda from the movie Prometheus with your friends in multi-player or alone in single-player. Use science to unlock the secrets of Colonial Marine, Predator, Engineer and Alien technology. Research the Assembler and locate Yautja Artifacts that will allow you to create Predator armor which allows you to see in thermal and electromagnetic spectrum. Wear Alien armor that allows you to scale vertical surfaces like an actual Xenomorph. Use science and the power of your mind to research and design your own custom spaceship to escape the hostile world.